and teens aged 14 yrs and above. 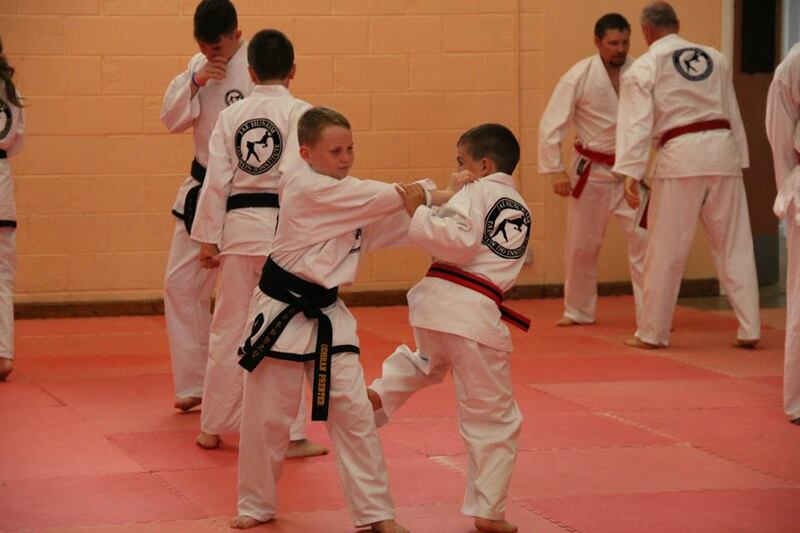 Sparring class is where the students study both continuous and point sparring systems and build on their skills for both self-defence and competition. 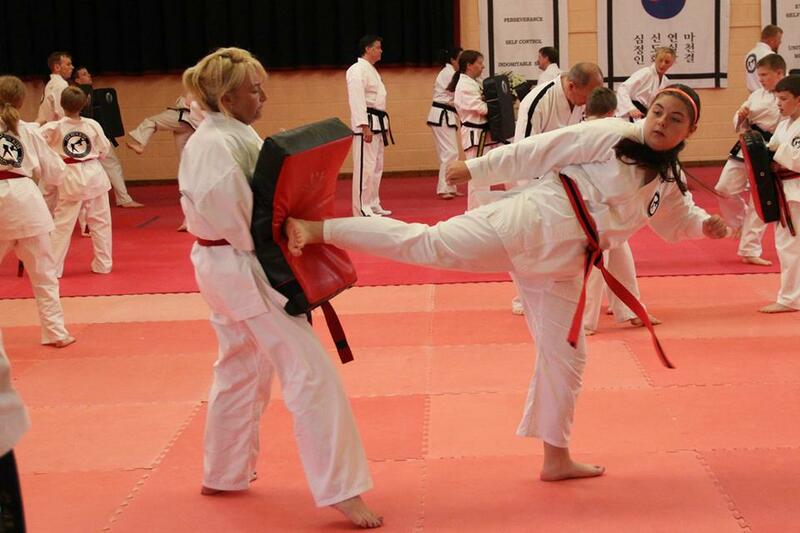 Full range sparring is a full contact sparring system introduced at Black belt level. Wearing full body protective equipment the students engage in full contact sparring techniques not usually allowed in competition such as sweeping and take-downs. Grappling class is unique to J H Kim in Ireland and is a form of submission wrestling using take-downs, locks and holds. Competition based training are additional classes to work on sparring, breaking and patterns in the weeks preceding competitions. Fitness & stretching classes are provided to give students the opportunity to increase their fitness and flexibility outside of the normal classes. 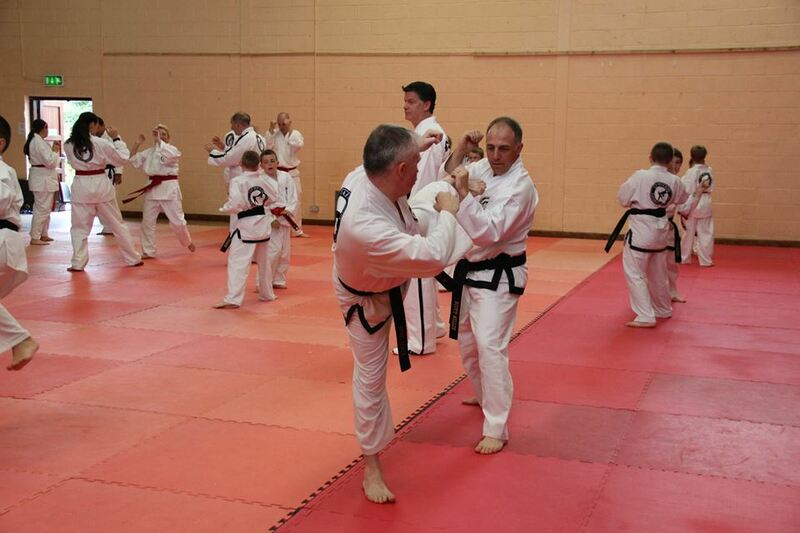 Patterns class is for learning and practising the traditional Taekwon-do forms. Private lessons (one to one) are available to anyone who wishes to develop their skills and experience in a private individual lesson. BlackBelt program is a special class to help students prepare for their Black Belt grading. Fitness Class (Non-members only) for those interested in a total body workout. Increase your aerobic fitness while burning fat. Hatha Yoga is now being run twice a week at the Dojang. We are extremely lucky to have our very own Yoga Instructor in Ms. Tara Fitzgerald. Hatha yoga is a series of physical exercises with anatomical alignment and breathing techniques used to promote strength, flexibility, balance and mental and body awareness. Yoga is known for its calming and relaxation effects. For further information click here. Master McSweeney and his team of experienced instructors provide classes for children as young as 3 years old up to age 14. 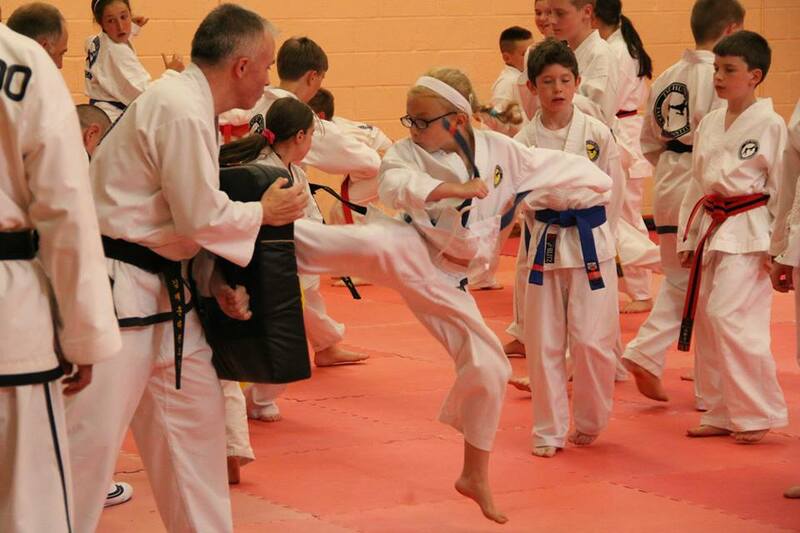 The class material is specifically designed to teach Taekwon-do to children in a way that makes the learning both efficient and fun. Classes have been created for different ages and skill levels. Little Cubs is for 3-5 yr olds. In this class the students learn basics and sparring. 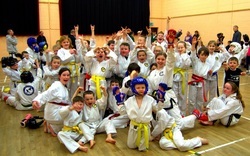 A Striped belt program is used in this class, and students receive a higher belt as their skill level improves. This class is thought personally by Master McSweeney. Mixed Training Class is for 5+ yrs. This class teaches basics, sparring and patterns. 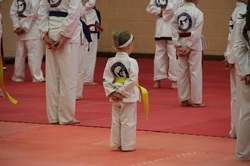 The younger students wear stripe belts until there skill level improves and they start to learn patterns. They then follow the solid belt program. Patterns class is for learning and practising the traditional Taekwon-do forms, for students on the solid belt program.